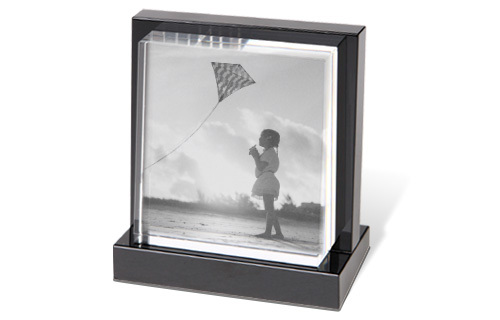 Your picture laser engraved in real crystal! Are you looking for a really special but also really personal gift? 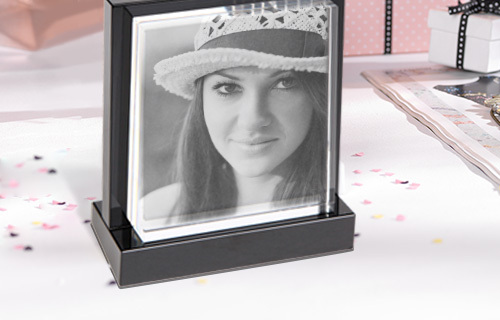 Then order each of your favourite pictures as a stylish crystal photo. A special laser process is used to transfer your chosen image onto high-quality crystal, giving it a very special setting. It comes with a special stand and a stylish gift box. High quality crystal with an elegant stand.